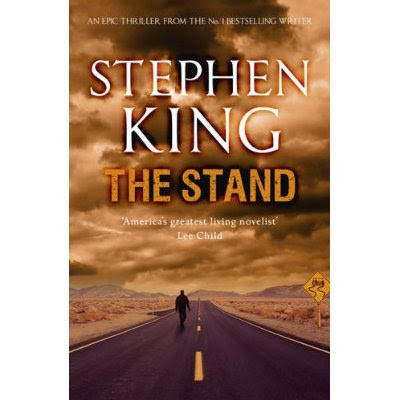 The Stand was one of the first major books I narrated for Books On Tape under the contract that Flo Gibson arranged with them. It was a memorable experience. This was the edited-down version, which was the only one available at that time, but even so it was a monumental undertaking. Of course, back then we didn't bat an eye at thousand-page books--in fact, what was the point of going to all that trouble for some little dinky thing? I still get fan mail about this recording. The last time I heard an excerpt (when it was still available from Books On Tape) the speed was off and I sounded too fast. I don't know if the cassette editions still floating around sound like this, but it would be a pity if they did. At that point we were recording on reel-to-reel tape and would dub the masters onto cassette for Books On Tape to duplicate. The problem was that cassette machines regularly got out of whack and what sounded fine on one machine could come out too fast or too slow on another. Also, high-speed cassette duplication was a clumsy process fraught with technical issues that could lead to pitching boxes worth of cassettes when a run failed to execute properly. All that aside, what's astonishing to me is that no one has ever re-recorded this masterpiece. It's the granddaddy of "virus" novels and remains as chilling and effective as the day it was written, in spite of King's penchant for overwriting. It's hard to believe it isn't currently available in audio. What are they waiting for? I wouldn't expect that my old recording would be salvageable at this point. I'd certainly love to do it again. I narrated The Dark Half last year for a new series of King recordings issued by Blackstone and Penguin Audio. It was every bit of fun as I anticipated it would be. But regardless of who does it, it's a huge disservice to King fans both new and old to keep The Stand under wraps. I knew someone had to have recorded this masterpiece at some time! Man! I second that this one needs to be re-done and published ASAP (this time performing the Complete and Uncut Edition). My vote is for you and Blackstone, Grover. Thanks for this. I would love an updated audio version of this as well. I read this novel like 5 times in High School and college.